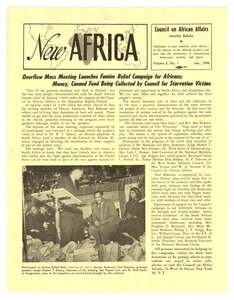 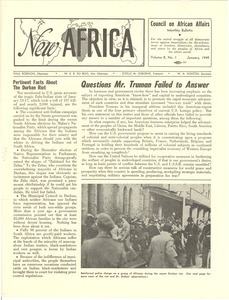 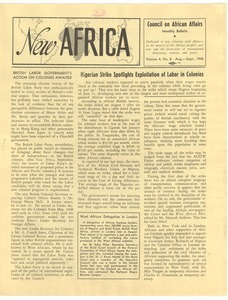 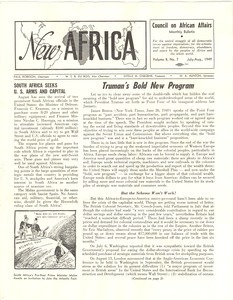 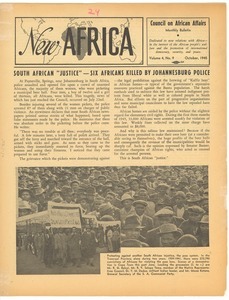 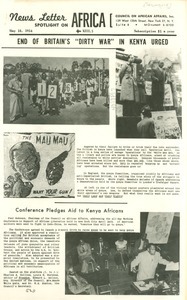 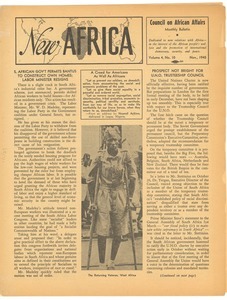 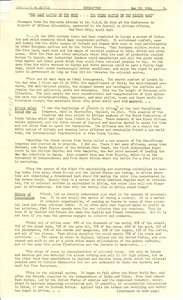 62 results found for: genres:"Newsletters"
New York (N.Y.) - Contains the following three articles: "End of Britain's Dirty War in Kenya Urged," Conference Pledges Aid to Kenya Africans, and "Haile Selassie's Visit Linked with U.S. 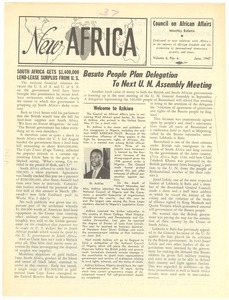 Aims in Middle East;" reviews concerns in South Africa. 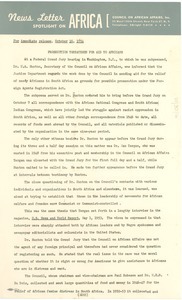 New York (N.Y.) - Recounting the subpoena of Alepheus Hunton for the Council on African Affairs.